As Silicon Valley neighborhood specialists, our team can provide you with useful information to help you make an informed real estate decision. If you currently own a home and are thinking of placing it on the market, our team would look forward to the opportunity to meet with you to discuss the sale of your home, furnish you with a comparative market analysis / home seller package, and answer any questions or concerns you may have. 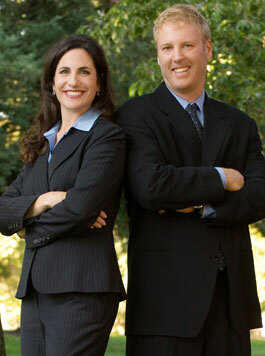 Also, if you are a first time buyer or an experienced investor, our team can help guide you on specific cities and neighborhoods, provide helpful information on how to choose the "right" property, making an offer, negotiating, financing, mortgage rates, relocating, moving and everything involved in making an educated decision when purchasing your home in the Silicon Valley. Please feel free to browse through this site to explore each of the very unique communities throughout the Bay Area. This site offers direct access to the latest homes for sale throughout Silicon Valley. Featuring extensive Silicon Valley community information, Silicon Valley consumer links, Silicon Valley rentals, Silicon Valley resources, Silicon Valley History, answers to commonly asked real estate questions, and more, you will find everything about Silicon Valley homes and real estate within one easy source. Contacting the Boyenga Team is the best way to learn more about Silicon Valley, and Silicon Valley homes for sale. Feel free to call us at 408-373-1660, or send us an email by filling out the contact form below. Contact The Boyenga Team Today!